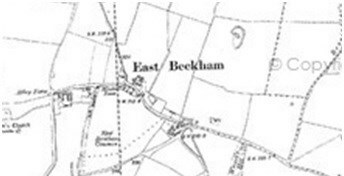 East Beckham is small hamlet located two miles inland from Sheringham and six miles from Holt. James Gresham (1442–1497), Lord of the Manor of East Beckham, was the grandfather of the Sir John Gresham who founded Gresham's School in 1555 and the great-grandfather of the Sir Thomas Gresham who established Gresham College and the Royal Exchange in the City of London. You are looking for a nano cache. 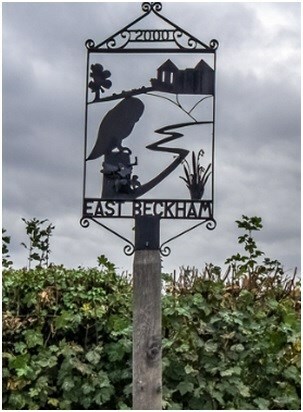 Please be careful when searching as there is a farmhouse that faces the village sign. You can park briefly near the sign. The Cache only contains a log sheet so please bring your own pen..
Abg lrg - gbb rnfl!